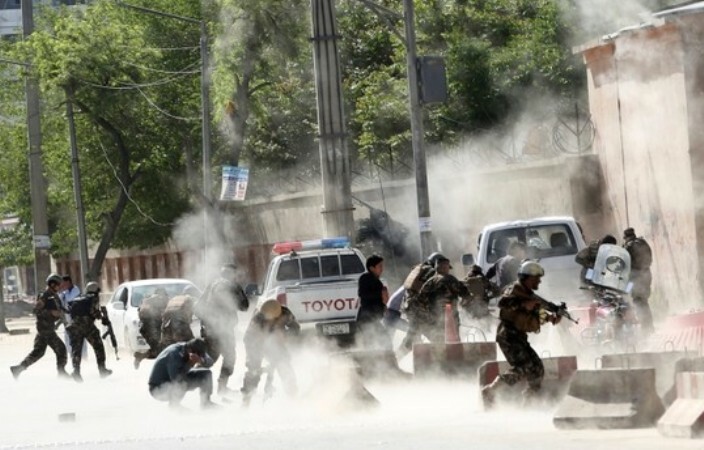 At least 27 people, including civilians and security forces, have been killed in separate incidents in two provinces of Afghanistan, officials said on Monday. Six civilians were killed and as many others injured after a bomb they were carrying went off in southeastern Paktika province, said the head of the provincial council, Bakhtiar Gul Hemat. The individuals had found the roadside bomb in Jani Khel district and were transporting it inside a car when the device exploded, Hemat said. Elsewhere, Taliban attacks in western Badghis province late on Sunday killed at least 21 security personnel. At least 14 personnel, including two policemen and 12 soldiers, were killed when a military base was hit in Qadis district, head of the provincial council, Abdul Aziz Baig, told reporters. In another attack in Ab Kamari district, at least seven policemen were killed and nine others wounded, Baig said. Jamshid Shahabi, a spokesman for the Badghis provincial governor, said more than 15 Taliban fighters were also killed while 10 were wounded in the clashes. Taliban leaders and US officials are scheduled to meet this month to discuss the withdrawal of foreign forces and a possible ceasefire. Officials from the warring sides have met at least thrice in recent months to reach an agreement on ending the 17-year war. In the meantime, the two sides continue to ramp up attacks. The Taliban have escalated their attacks on security forces and government facilities in recent months, while Afghan and US troops have intensified their operations against the group’s field commanders.